This premium smartwatch has been engineered by HP and brings together a classic analog watch design with smart fitness tracking and notifications. While HP still has to launch wearables under its own banner, there is more than one smartwatch on the market that uses its hardware. Last year, HP smartwatch technology had been used in Michael Basian's MB Chronowing and now the Movado Bold Motion debuts packed with HP smarts as well. Movado is a Swiss watchmaker, so it is no surprise that Bold Motion has a classic design, bringing together a mechanical watch face with a premium design and various smart features. These include motion tracking, notifications for incoming calls and messages, emails, social media updates, as well as calendar appointments. 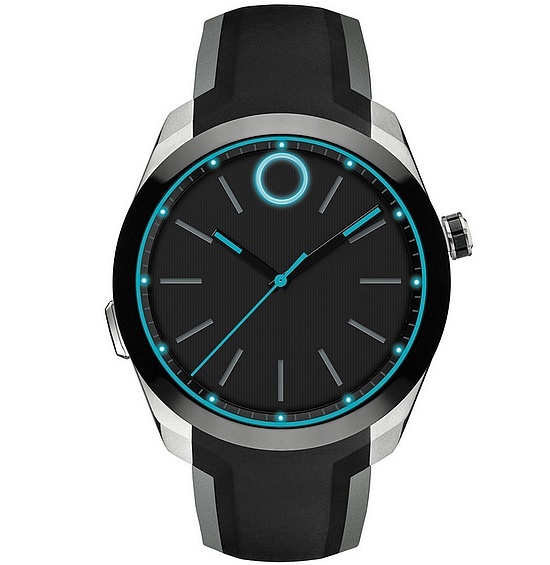 The Movado smartphone app works with both Android and iOS devices, connecting via Bluetooth. Its battery offers up to one week of autonomy. Movado Bold Motion is water-resistant up to 5 ATM and is only available in black with white or blue lights. Its price is $695 USD but is not ready to ship yet, currently being listed as "Coming soon."